What is the Tax Attorney Recruiting Event (TARE)? Legal employers from around the nation are invited to participate in the 12th Annual Tax Attorney Recruiting Event (TARE). Over 150 of the top LL.M. in Taxation candidates in the country will have an opportunity to be considered for permanent positions during this interview program. 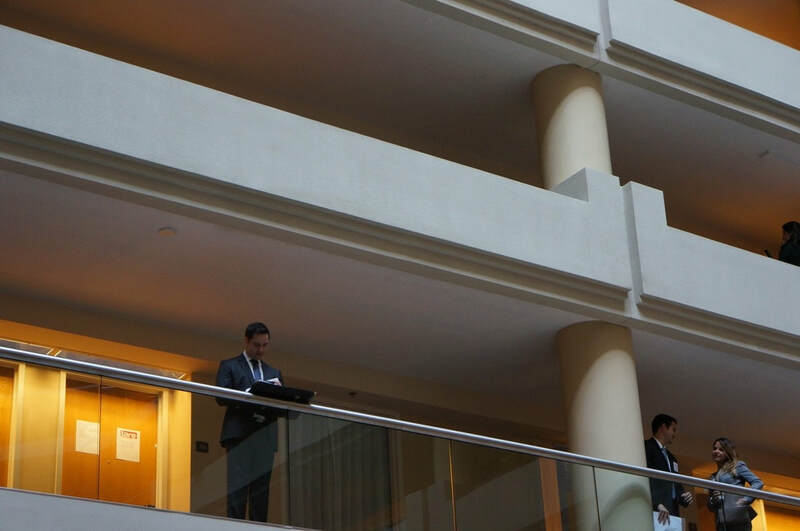 This year’s event will be held on Thursday, February 28, 2019 at the Embassy Suites Hotel Crystal City in Arlington, VA. Interviews will run from 8:30 am to 6:00 pm (ET) with scheduled breaks. Registration starts at 8:00 am (ET). This event is designed specifically for attorneys who are LL.M. in Taxation candidates at one of the participating schools and are anticipated to receive their LL.M. in Taxation degree in the 2018-2019 academic year. Employers must make interview arrangements outside of the TARE venue if they wish to meet with non-participating students on the day of the event. TARE attracts many prestigious law and taxation firms. Past participants include Baker & Hostetler, Baker & McKenzie, Dechert, Deloitte, Ernst & Young, Exxon, the Joint Committee on Taxation, KPMG, PricewaterhouseCoopers, and more. How do I register for interview schedules? Complete our short registration form. Once registered, you will be sent your login information for TARE Symplicity within 3-5 business days. When you log in to TARE Symplicity you can add all requested interview schedules by clicking the link for "Job Postings" and adding your interview schedules there (mark "Interview Schedule" in the title). Employers can also email us with text copies of their requested interview schedules and we will upload them. Registered employers will need to submit the required fees for requested interview schedule(s) to Boston University School of Law. Employers will then need to book hotel rooms for each requested interview schedule directly with the hotel. Please see below. How do I register for resume collections? Employers requesting resume collections should also register through our registration form. They will be sent their log in information and can add the resume collection to the "Job Postings" tab (mark posting "Resume Collection" in the title). Employers can also email us with text copies of their requested resume collections and we will upload them. Registered employer should then submit the required fees for resume collection(s) to Boston University School of Law. How do I reserve interview rooms? 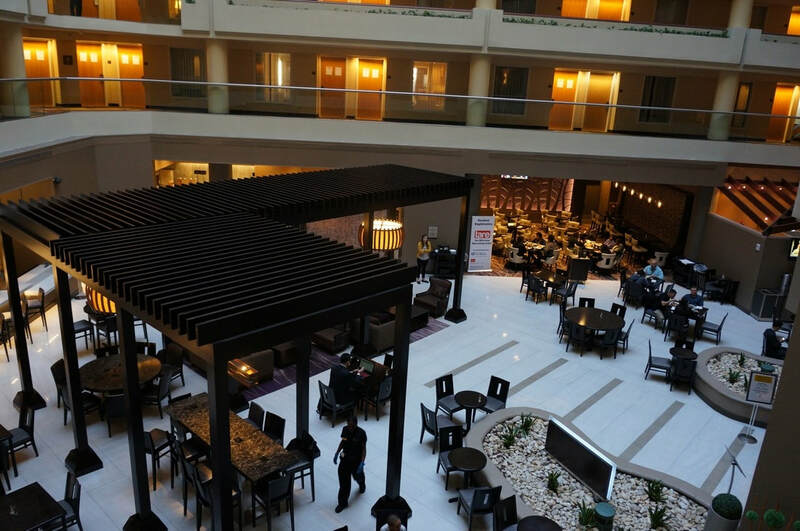 TARE will be held at the Embassy Suites Hotel Crystal City, 1300 Jefferson Davis Highway, Arlington, VA 22202. Please note that this is the same location as the Georgetown/NYU TIP program. Employers are responsible for making their own room reservations and for paying for all hotel expenses. Each employer should reserve one room for each interview schedule and should identify the entity they represent as a participant in the TARE Program. Employers should make their hotel reservation by schedule name, including the employer name and hiring location. For example, "KPMG International Tax, New York." If reserved by the January 18th deadline, TARE participants will receive a special, total discounted hotel rate of $205.00 per night and a late check out on the day of TARE. It is necessary to reserve the room for Wednesday night so that the room is available before the 8:30 am interviews. Reservations must be made directly through the Event Services Manager at the Embassy Suites, Kate Ehlers. Please email Ms. Ehlers at kate.ehlers@hilton.com and cc: employer@the-tare.com. Please reference TARE in the email. If you have special requests for accommodations, you may contact Ms. Ehlers at 703-842-3579. TARE is 100% pre-screened. Employers will submit position requirements during registration. Students will review this information and submit their resumes for consideration. Employers select their candidates after reviewing student resumes through TARE Symplicity. Employers make candidate selections by Monday, February 11, 2019. In the event of student cancellations, employers are encouraged to select alternate candidates in order to fill their schedule. Alternates selected are a pool of potential candidates and cannot be ranked. Final schedules will be available to employers on Friday, February 22, 2019. Each interview schedule allows an interviewer to conduct up to 21 interviews. Interviews are scheduled on a 20 minute per interview schedule from 8:30 AM to 6:00 PM with morning, afternoon and lunch breaks. Employers can request specific start and end times or half day schedules. Employers can also request longer interview schedules of up to 30 minutes per interview.